Welcome to Arthur in Action for July! Over the last couple of weeks my bride and I have been sending daily supportive emails and a thought-for-the-day to someone very close to us as a part of their Journey. Often I choose thoughts from my latest book, Vocal Leadership: 7 Minutes-a-Day to Communication Mastery, and one I enclosed today was the above quotation from one of the most influential artists of the 20th century, Martha Graham. Because she was dedicated to her art and, because of her dedication to the woman she was, she changed dance forever and created an artistic movement that continues to influence art/artists to this day. This quotation is more than just an inspiring thought-for-the-day, it is a template for life. In addition our eldest son recently loaned us his copy of Oprah Winfrey’s book, What I know for Sure. I appreciate her clarity, simplicity, wisdom, as well as the practicality she expresses in this book. Also, Oprah Winfrey, of course, has earned the right to be listened to—not only does she have something to say but she says it from the integrity of the life she lives. So, inspired by Oprah’s writing, we combine some of her thoughts with our own in daily missives to our loved one. The back cover of her book says, “I know for sure: your journey begins with a choice to get up, set out, and live fully.” Along with Martha Graham’s inspiring quotation, this pithy thought resonates deeply with me. When you read “Arthur in Action” for this quarter, I don’t merely want you to be inspired or read it and say, “That’s interesting.” I would like you to implement the precepts on the back cover of Oprah Winfrey’s book. I want you to implement what it means when Martha Graham says: Practice means to perform over and over again in the face of all obstacles some act of vision, of faith, of desire. Practice is a means of inviting the perfection desired. How do we really do that? Not simply in what we do—but in who we are. That is both the challenge and the opportunity. 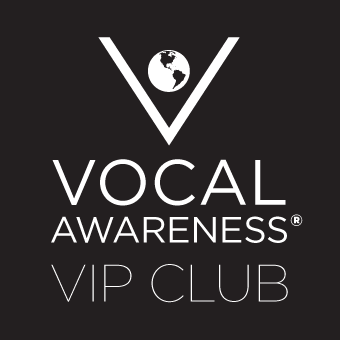 That is Vocal Awareness’s ‘Call to Action’. How do we live in the integration of mind/body/spirit in our daily lives—in our art, in our self-expression, in a social setting, i.e. family, a date, speaking with friends, on the phone, in-person; or a professional context—a job interview, a conference call, leading a Power Point presentation/sales call, running a company? How do we live in the Work? How do we embody the best of who we are? Vocal Awareness teaches Empowerment Through Voice which begins with a key principle: Structure does not impinge, it liberates. Freedom without direction is chaos. Design how you want to be known—your Persona Statement. Embody the Stature of who you are, claiming your truest Self. Stature is preparation for every single thing we do. Then, through the quality of your breath, embody the spirit of who you are. A reminder for those who know my Work and a new insight for those who do not: Spiritus means to breathe. So, what in Vocal Awareness is referred to as a Conscious, Loving Breath—always silent, never rushed, never taken, always allowed, we connect with Source/ our Deeper Self and, seamlessly, effortlessly, simultaneously in every moment, in every conversation. Then through the structure of Vocal Awareness and the visual cues illustrated in a seminal technique of the Work, Visceral Language, and then carried on the breath through the Edge and Arc of our voice, we have the ability to step into the best of who we are, to embody it and sustain it—not simply in a performance moment—but at all times. ‘What I know for sure’ is that Vocal Awareness will enable you, not only to do your best but to be your best. I end this month’s “Arthur in Action” with one more quote from my book. This one is from Ralph Waldo Emerson: “The only person you are destined to become is the person you decide to be.” Please decide who you are. There is only one of you in all time—who you are truly matters.